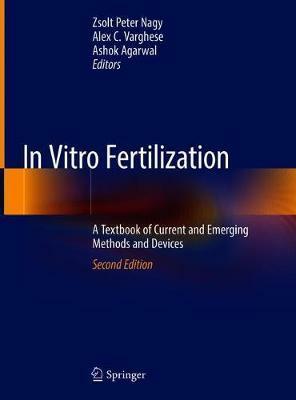 Now in its revised and expanded second edition - including over 20 new chapters - this comprehensive textbook remains a unique and accessible description of the current and developing diagnostic and treatment techniques and technologies comprising in vitro fertilization (IVF). Arranged thematically in sections, each chapter covers a key topic in IVF in a sensible presentation. Parts one and two describe the planning, design and organization of an ART unit and IVF laboratory and equipment and systems, respectively. The sections that follow provide detailed descriptions of IVF techniques, embryo culture methods, sperm processing and selection, insemination procedures, micromanipulation, embryo evaluation, cryopreservation, and embryo transfer. Concluding sections address issues of management and regulation of ART labs across the globe, as well as special topics and emerging techniques and devices. Chapter authors, all experts in the field, contribute their expertise from around the world. With the addition of learning key points and review questions at the beginning and end of each chapter, this new edition of In Vitro Fertilization is a readily accessible, high quality instructional resource for reproductive medicine trainees at all levels. Practicing reproductive endocrinologists, urologists, and embryologists also will find value in the book, as will infertility researchers. 186 Illustrations, color; 34 Illustrations, black and white; XXII, 962 p. 220 illus., 186 illus. in color.